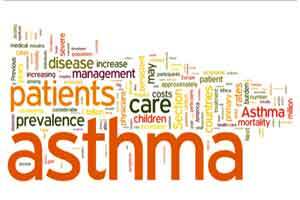 Mast cells, a type of white blood cell, are present in the airways of severe asthmatics even in the face of aggressive treatment, and their presence is associated with key indicators of severe asthma. It has long been thought that these mast cells contribute to the disease and that targeting them may improve symptoms and quality of life for patients with severe asthma. In a new, proof-of-principle study published in the New England Journal of Medicine, researchers from Brigham and Women’s Hospital have found that targeting the mast cells with imatinib, a drug used to effectively treat certain forms of cancer, improved airway hyperresponsiveness, a measure of the sensitivity of the airway, and decreased the number of mast cells present in the airway. Treatment also produced a small improvement in airway function. “This study shows how the investigator community begins to apply knowledge of basic disease pathogenesis to tailor interventions to specific patient populations, which leads to more effective therapy. This is particularly the case for this patient group with a disease that is difficult to treat and that has a high morbidity rate,” said James Kiley, Ph.D., director, Division of Lung Diseases, at the National Heart, Lung, and Blood Institute (NHLBI).